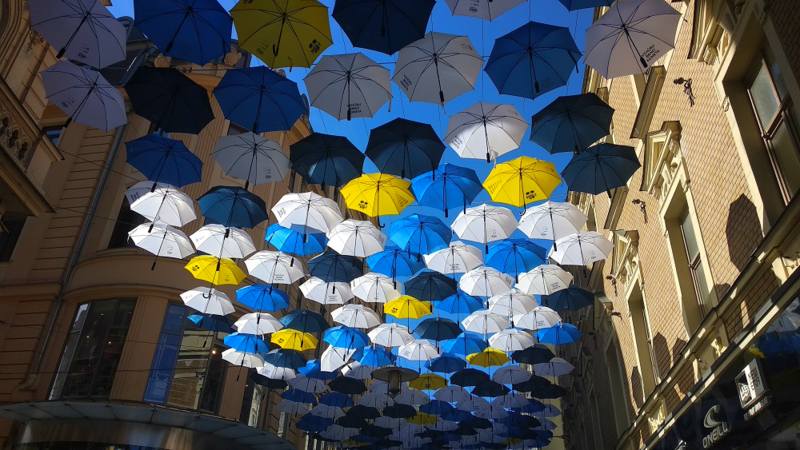 Did you miss the colorful umbrellas on Česká Street? Photo credit: Cátia Bernardino. 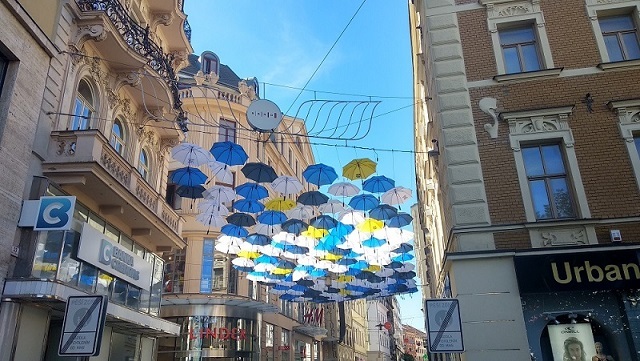 Brno, Aug 6 (BD) – This morning, more than 200 umbrellas were installed on Česká Street, as in the previous years. In September, the colorful umbrellas will be auctioned and the raised money will help children diagnosed with autism and people with mental disabilities. Photo: Colorful umbrellas on Česká Street. Credit: Cátia Bernardino. The installation and auction are organized by DRFG Foundation, Brno Diocesan Charity, and KOMETA Foundation Fund. On Friday, August 10, people can meet with KOMETA hockey stars under the umbrellas. Jan Hruška, Martin Dočekal, Lukáš Kašpar, Leoš Čermák, and Michal Gulaši will come.